As I stepped into an exam room to see a post-operative patient last week, I noticed her smile as broad as the keys of a grand piano. She wasn't just happy; she was excited. Could it be the tummy tuck she'd had a few weeks before? “Doc, I gotta show you something,” she said as stood up from the exam chair and walked over to her folded clothes. “Look at this dress.” She held up a summery print dress with spaghetti straps, then she draped the light T-shirt material over her front as if she were wearing it. “Before my tummy tuck, I couldn’t put this thing on. But now? It fits me great! I’ve waited so long to be able to wear it. And my pants? Oh my gosh! They’re so big, I have to held them up! Otherwise they fall down!” She laughed as she opened her gown so I could see her result. Her reaction wasn’t unusual. 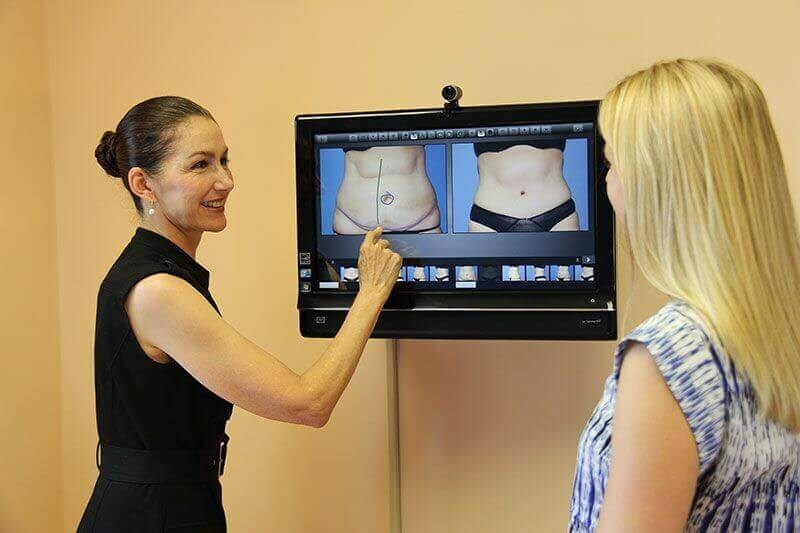 A tummy tuck can have a major impact a person’s life. To understand tummy tucks, it helps to understand basic anatomy. Deep inside the abdomen are the guts (liver, intestines, spleen, and the rest). Covering the guts are the abdominal wall muscles. During a tummy tuck we pay particular attention to a pair of long, broad ribbon-like muscles that you probably know as the six-pack. When I evaluate a patient for a tummy tuck, I always check out the six pack muscles. They can separate after pregnancy or weight gain, resulting in an expanded girth, a belly pooch, and sometimes back pain. There’s something else inside the belly besides the guts: Fat. Too much of this gut fat pushes on the abdominal muscles, forcing them to stretch and stretch, shaping the belly like a beach ball. The only way to get rid of this intra-abdominal fat is to lose weight. Between the abdominal muscles and the skin is more fat. Because that fat lies above the muscles, it can be improved with a tummy tuck. Cut along the bikini line from hip to hip until you are down to muscle. Lift up the skin and fat off the muscle layer. Ah hah! The belly button is in the way. So here’s what you do: Cut around it and leave it there. Keep on lifting the skin and fat up till you reach the rib cage. Now sew those six-pack muscles together. Love that new contour! Good job so far. Now we’re on the home stretch. Stretch that skin and tack it down. Look down the hole--See the belly button down there? Pull it up and sew it in place. Cut out the extra skin (and there’s usually a lot of it!). Now close like a seamstress sewing a seam, and you’re done! P.S. We don’t use drains! Liposuction of the love handles can be done at the same time. The self-confidence they feel from all of the above. If you’re thinking about a tummy tuck, make sure your surgeon is a board-certified plastic surgeon. Patients too often regret having had liposuction when they needed a tummy tuck. Or they realize they had an incomplete version of a “tummy tuck” done under local anesthesia by a cosmetic surgeon lacking the skills of a board-certified plastic surgeon. Bad results can’t always be fixed. Remember the patient who could finally fit into her pretty dress? She told me something else. “I'm eating less now, since I get full more quickly, and I’m finally losing the weight I haven’t been able to lose for years. I’m just so excited about what this surgery has done for me.” So am I. Seeing that joy is the best part of my job.